Welcome to our site! We are a family run business based in the North East of Scotland. Having walked the hills and glens for many years, all Mountain Leaders at Hillgoers are highly qualified and have a vast experience of Scotland's wilderness. We are passionate about our profession and our aim is to share this enthusiasm and knowledge with you. Our leaders take their time to guide you through the landscape, identifying flora and fauna, and providing interesting historical facts. Safety is of paramount importance.  We are fully insured, members of the Mountain Training Association and are holders of the Adventure Activities Licence. We are also an Authorised Activity Provider for the Duke of Edinburgh’s award. While it’s possible to book walks across Scotland, the team holds specialist knowledge of the Royal Deeside area, from the Wells of Dee high up near Braeriach, through the Cairngorm National Park, past the magnificent Lochnagar and down to the stormy North Sea in Aberdeen. Fishing for wild brown trout in Scotland’s remote hill lochs is a firm favourite, although camping under the stars is hard to beat! Both bespoke and pre-arranged guided walks are available. Contact the team to discuss your individual needs.